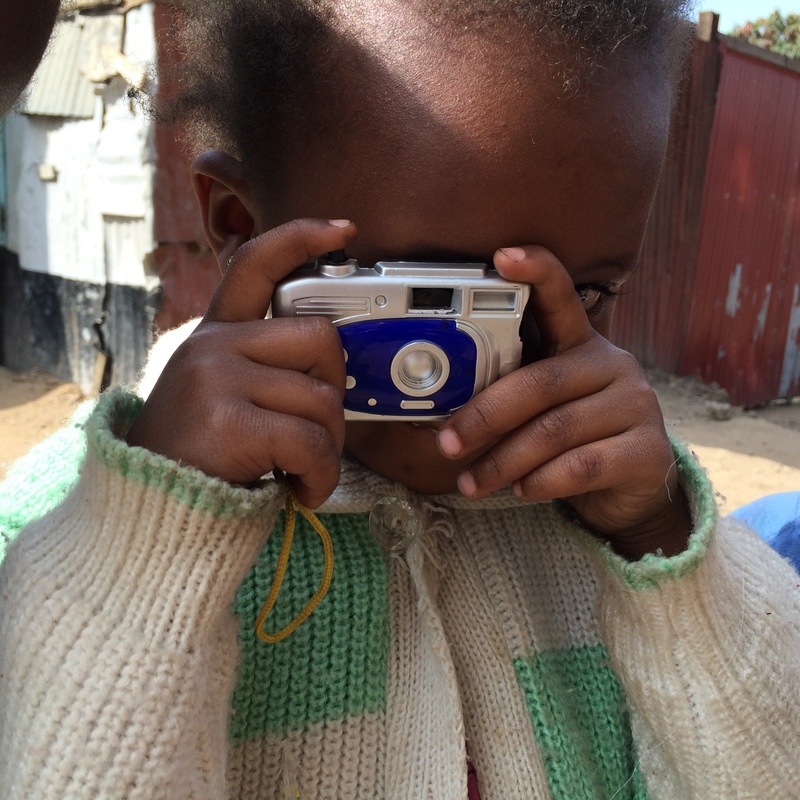 NAIROBI, Kenya – I believe in the power of community media to transform communities. In my home country, due to the National Film Board of Canada’s Challenge for Change program from the 1960s to 80s, marginalized Canadians came together to speak truth to power through participatory filmmaking. This tradition now continues in documentary film and on the community radio airwaves every day across Canada and around the world. Today, social media is helping organize protests and spread information, but newspapers and, especially, radio still have the widest reach, making it the most relevant media to educate and inform marginalized communities. Last year in Nairobi, I met with Kenyan community organizer and founder of the Shining Hope for Communities movement, Kennedy Odede. The “Mayor of Kibera” as he’s referred to in the book A Path Appears, took me on a short tour of the SHOFCO office and its crowning achievement, the Kibera School for Girls. On the walk, Kennedy handed me the latest copy of SHOFCO’s monthly Ghetto Mirror newspaper. On the cover was a picture of its new Mathare School for Girls, located in Kenya’s second largest slum. I had become quite familiar with Mathare as my friend Wairimu Gitau started an online radio platform for youth called Mathare Radio. Just like Kennedy, Wairimu was born and raised in a Nairobi slum. The two realize that community radio and newspapers are a way to empower citizens to make informed choices and contribute to development in their respective communities. Inside the Ghetto Mirror newsroom, Kennedy expressed the need and importance to train local journalists so they could better report on their community. I agreed. My only condition was that we include Mathare Radio reporters so they could also benefit from any community media training. 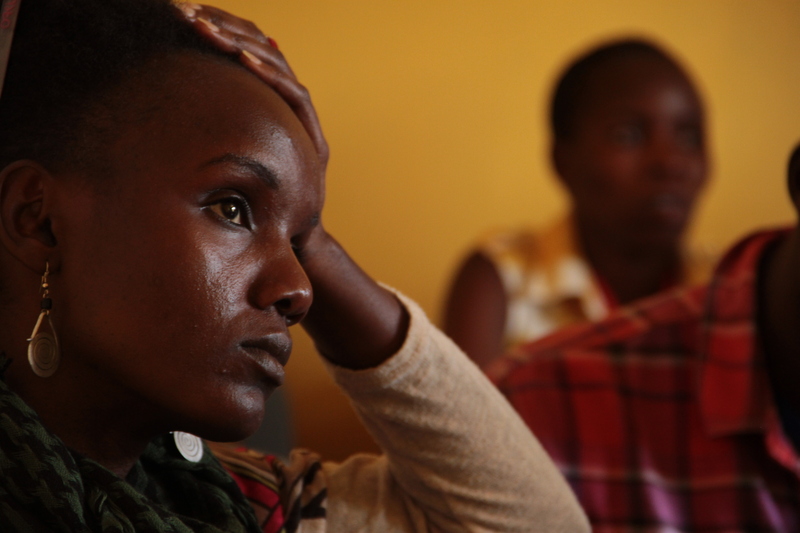 Wairimu helped plan the training, as she’s also a dedicated journalist and media trainer. We decided to hold day one in Kibera and day two in Mathare. This would make it easier for everyone no matter where they reside (as Kibera and Mathare are on opposite ends of Nairobi). By covering both slums we’d be able to gain a better idea of the common goals these two communities share. Wairimu developed the idea to start a radio station in Mathare around the time of the 2007-08 election violence in Kenya. A lack of accurate news and information in the slum led her to launch an online radio platform. Her purpose: to give voice to voiceless youth. “I always knew I wanted to be a journalist. I felt the mainstream media wasn’t serving the Mathare community fairly enough,” Wairimu said. She hopes to build a community movement, the likes of SHOFCO, which would include a radio station, a learning centre, and library for youth to find books on Kenyan and, more importantly, Pan-African history. This is her goal. Mine is to support it. By developing the skills of reporters in the community, it can help empower others to share ideas on how best to make change, online or on-air. During our afternoon reporting workshops, reporters pitched story ideas. The group decided to cover the most pressing issue: Kenya’s National Youth Service cleaning up Nairobi’s slums. Equipped with pens, notebooks, an audio recorder and a video camera, we broke into three small groups to produce print, radio, video and photography for this community-focused story. The result was overwhelming as most residents in Kibera and Mathare were willing to speak on the need for improved sanitation and how NYS was helping out in that regard. 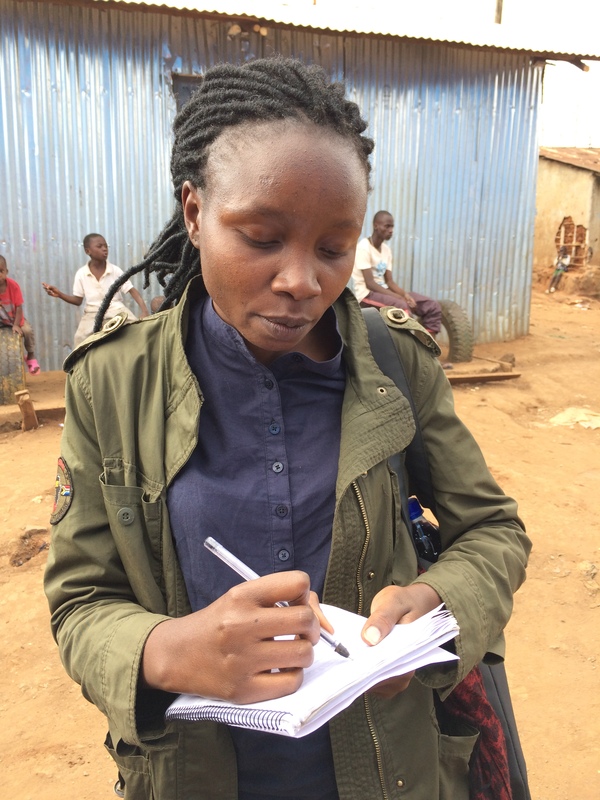 Ghetto Mirror reporter Eunice Otieno raised an ethical dilemma she faces often while reporting on Kibera. “What should I do when conducting interviews and someone asks for money?” the 29-year-old mother asked us trainers. Our response was to explain to this person that as a journalist you must never, under any circumstances, pay sources. Ethically this is wrong. We told her and the other trainees they should explain to residents that as community reporters they have a responsibility to give voice to the community. This means they must go around and find different residents to speak on each story. If some refuse or ask for money, then it’s best to thank them for their time and find someone else to interview. To provide a forum for dialogue, we started a Facebook page called Community Reporters, where media mentors like Wairimu and myself can keep the conversation with community media in Kenya, and East Africa, going online. I believe this training gave the reporters a better understanding of their journalistic responsibilities, and made them realize they are all a shining hope for the future of community media in Africa. 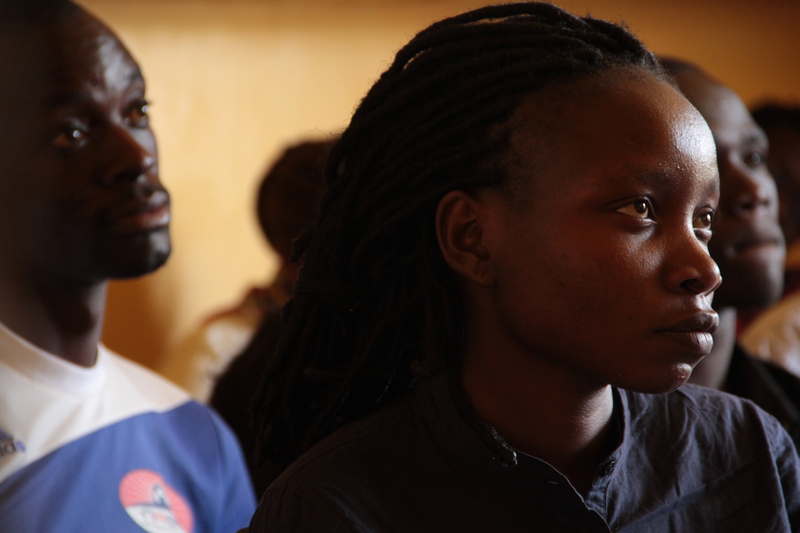 The Community Media training for Ghetto Mirror and Mathare Radio took place June 27–28, 2015 in Nairobi, Kenya.